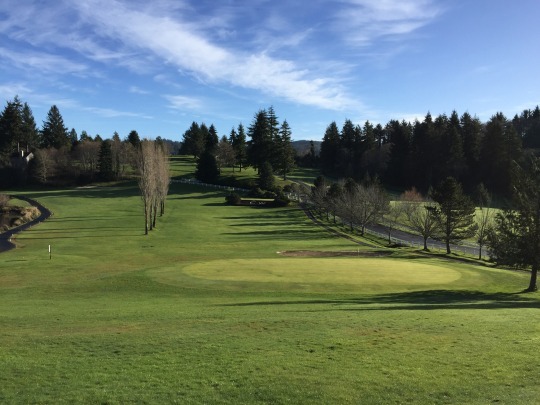 I’ve been based in Toledo, Oregon this week, which has given me reasonably close access to a handful of new courses in the region. I have been able to play three more since being here, so it has worked out well. They don’t really have much in the way of cart paths here, so it was walking only. 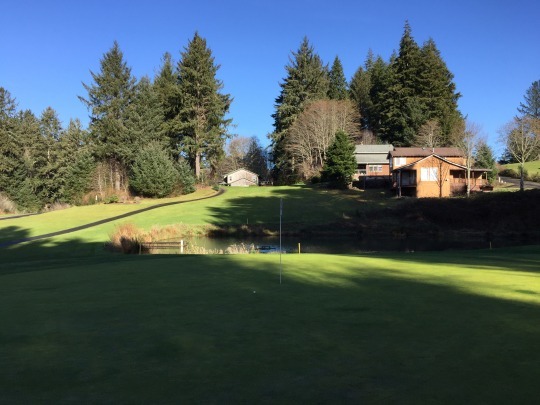 $20 for nine holes. 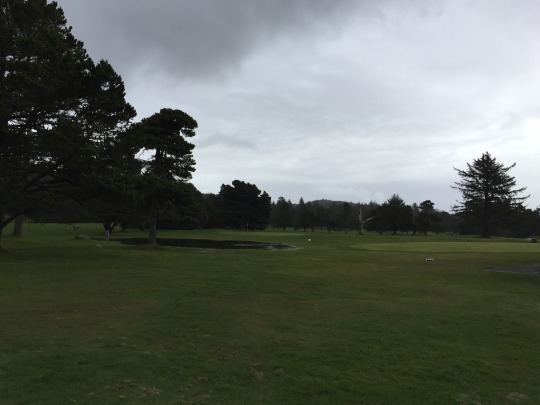 There was one other player out on the course, but I never crossed paths with him and I was able to play my nine quickly. It was just in time, too, because it started raining pretty hard again right after I finished. 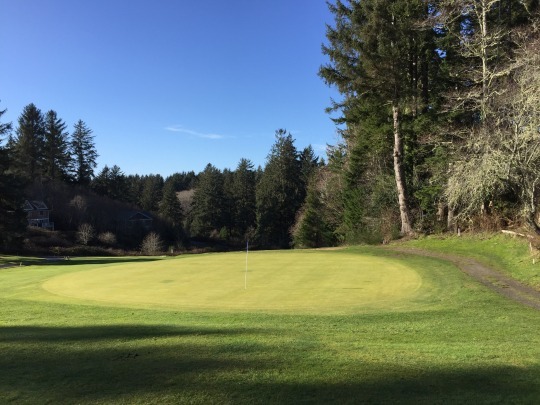 Agate Beach is another coastal Oregon 9-hole regulation track that plays to a standard par of 36. The course’s history dates back to the 1930s, I guess. 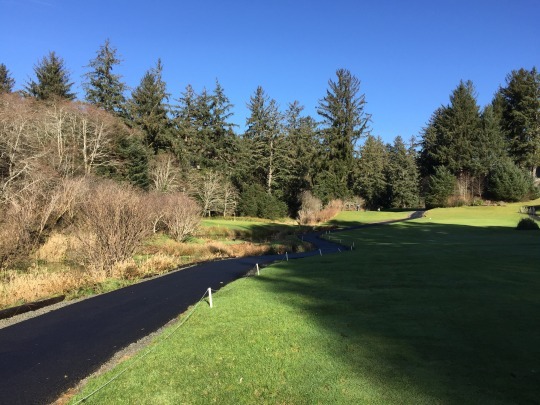 Some renovations were made sometime along the way, and that’s when they added in what is now the 8th hole. 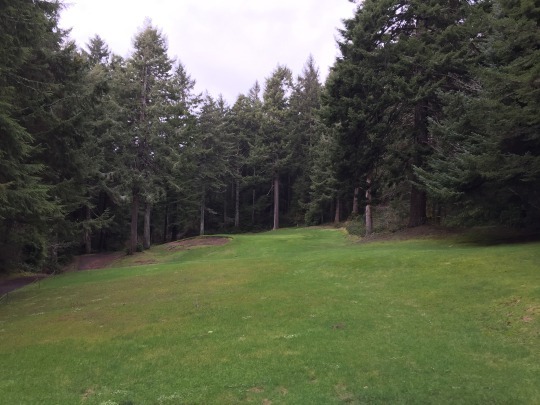 It is a nice little par-3 set back in the trees. Unfortunately, in the winter they have to close this hole for play because it gathers so much water on and around the green. I did walk up and take some pictures of it, though. 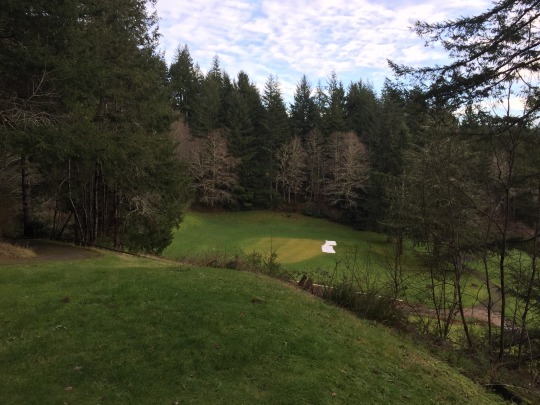 In the winter, they bring the original 9th hole back into play. 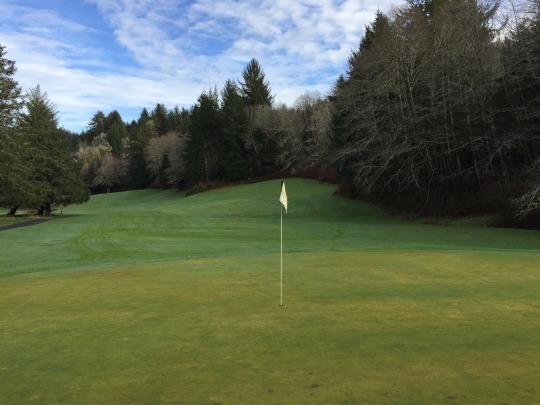 During the rest of the year, it serves as a chipping area by the clubhouse, but it is one of the original greens from the course according to the guy in the pro shop and they make use of it when the newer 8th is unfit for play. The first half of the course is pretty wide open and basic, going back and forth and not really offering much of interest. 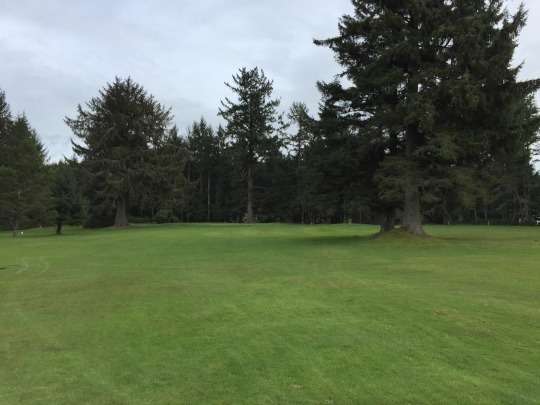 The latter half of the course does get interesting starting with the approach on the par-5 6th, which is flanked on either side by two huge trees. 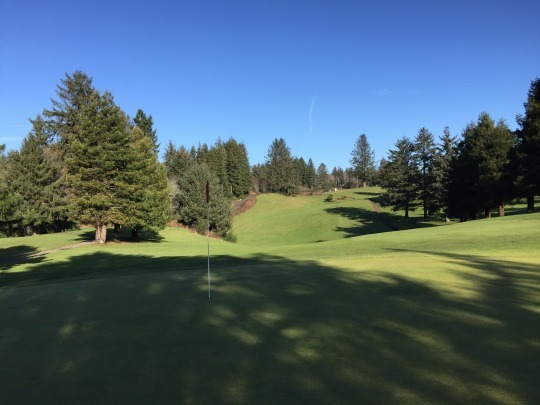 Then, the 7th was my favorite hole with a dogleg right and elevated green. The 8th (9th in the summer) is also a solid hole. The conditions were decent for winter and pretty consistent with several others I’ve played on this trip. Everything is lush and green with so much rain, but it is also very soggy. I’m used to it by now! 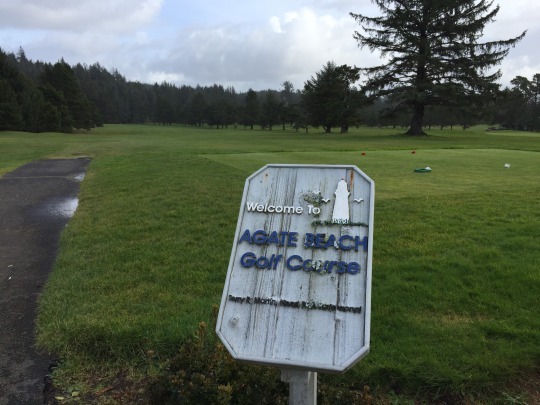 Agate Beach is another fine course that I probably rank right there with Crestview, which I played the day before. Decent and relatively simple layout with some local character, but nothing that incredible. 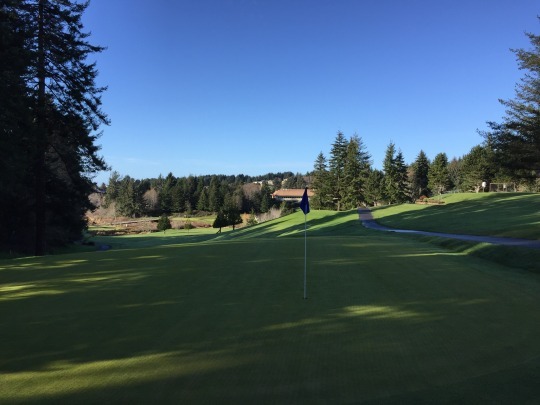 This is one of the courses I really wanted to try and play on this trip. 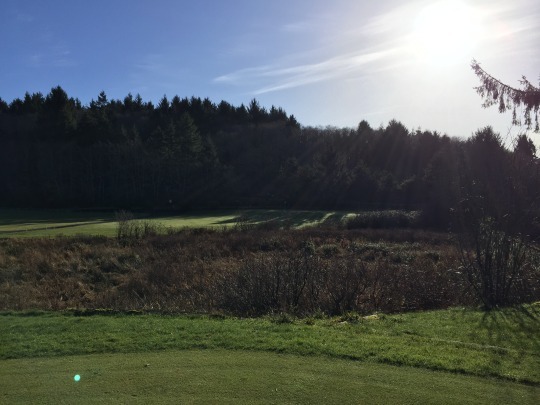 Since I’ve played all of the public regulation 18-hole courses along the northern half of the Oregon coast, this one was probably next in line on my to do list. 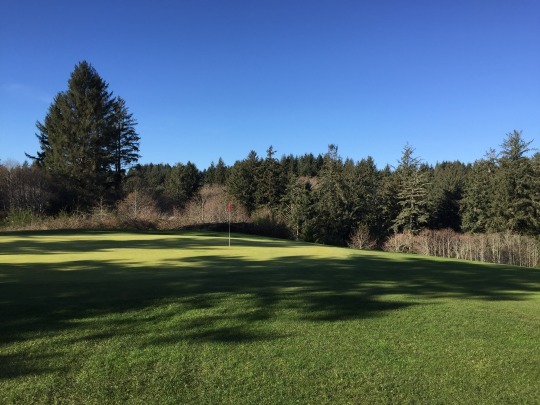 Even though all of the courses I’ve played so far are of regulation length (well, close enough including Crestview) and Chinook Winds is just an executive design, it is a full 18-hole layout and that adds some appeal for me. It plays to a par of 65. I believe it was once called Lakeside before the Chinook Winds Casino/Resort bought it and made some renovations. I was expecting some frost delays, so I took my time getting there in the morning. Then, I had to wait even more because they decided not to let anyone out until after 11:00. 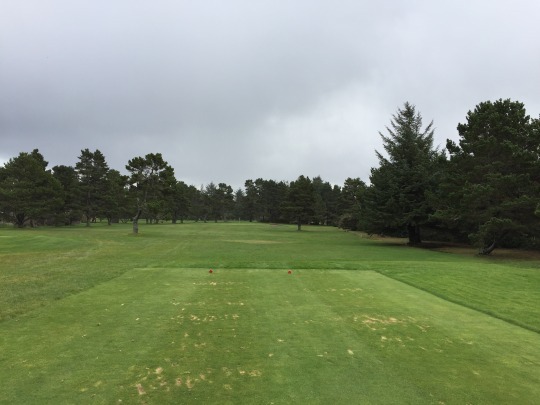 A number of people checked in once they were ready for play, but I got over to the tee box first and was able to play by myself at a quick pace. 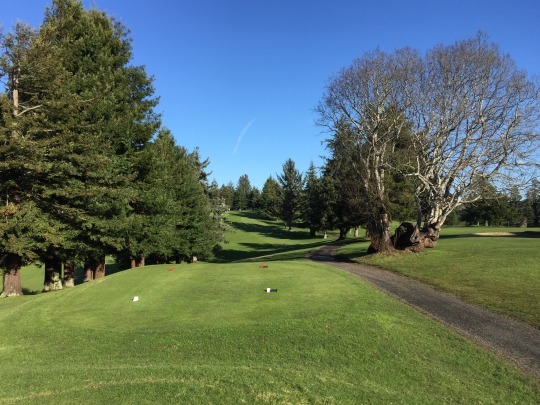 The price was $35 for 18 holes with a cart (cart path only, of course). It should come as no surprise that the conditions were very wet and I dealt with it as usual. Maybe the highlight of this course was the bunkers. They were in nice shape. 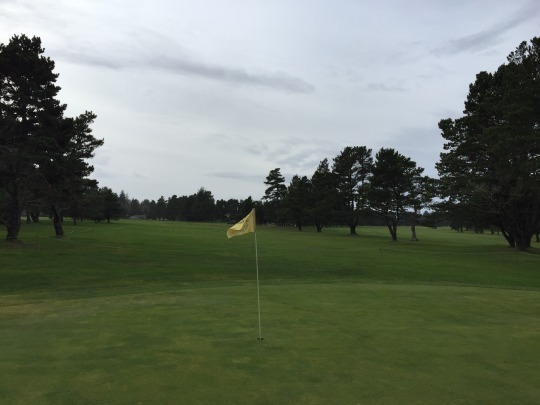 Most courses just let their traps go during the winter, but Chinook Winds keeps them strong. 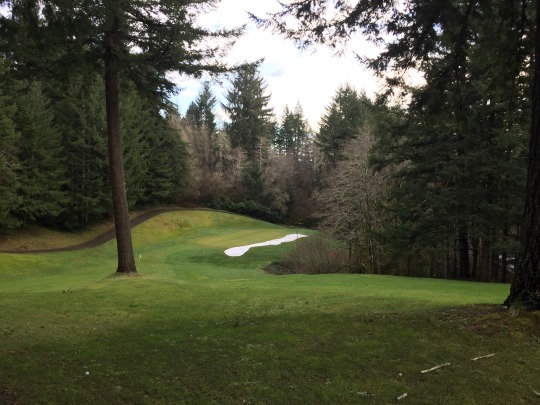 That’s a good thing because one of the more interesting holes here is the par-3 4th, which features kind of an island green with a bunker forming a ring all the way around it. It’s a cool little hole. The rest of the course is very enjoyable. It is hilly and lined with lots of big trees, so there are very few dull moments. 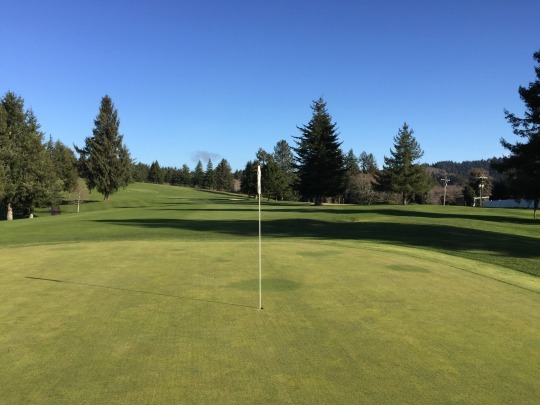 Some shots are quite narrow and most greens are elevated, requiring semi-blind approach shots. It is sometimes a bit funky, but almost always fun. 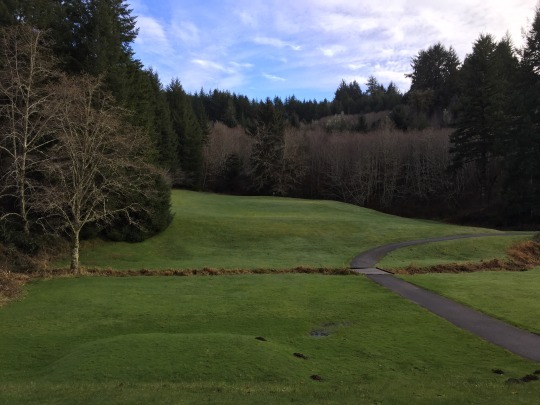 And, as you might expect from an Oregon course, it’s a very pretty setting. 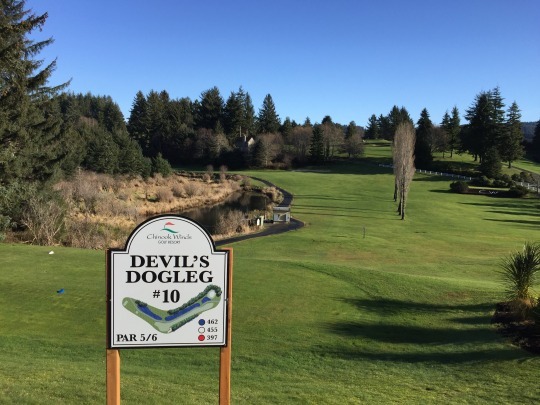 One of the other highlights of the course is the 10th hole, aka “Devil’s Dogleg.” It is an awkward dogleg left around a water hazard. 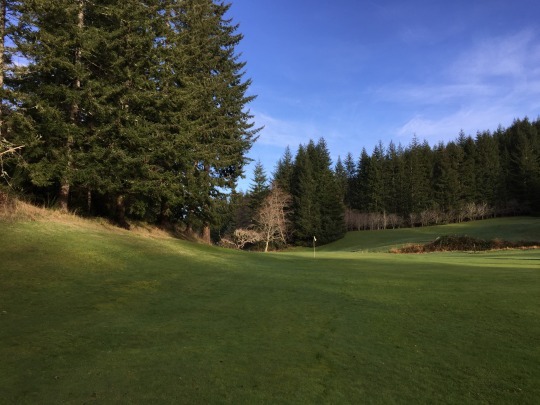 The second shot is somewhat blind, whether you lay-up to a very narrow strip of fairway to the right or go for the green tucked back to the left. It is kind of an island on the other side of a creek. I can see how the hole earned its nickname. 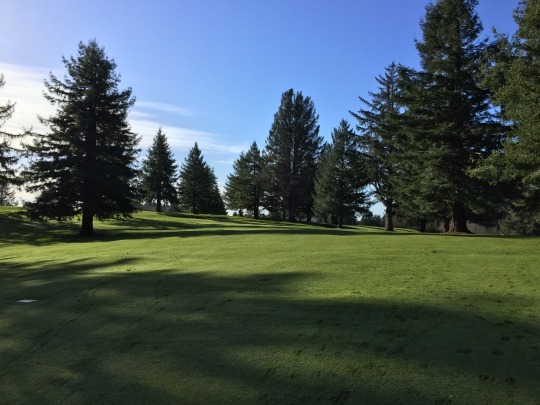 Some will argue that a regulation-length 9-hole course (especially if played twice) is more appealing than an 18-hole executive. 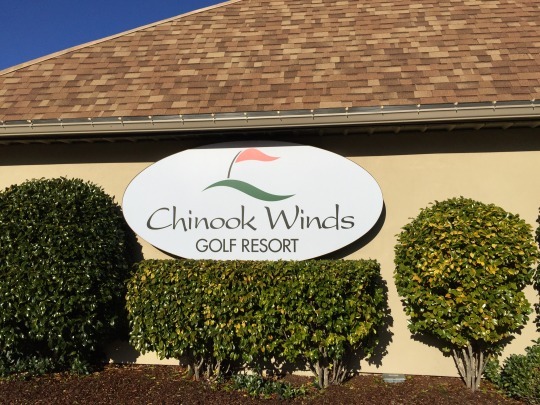 I tend to like some variety and there’s so much to enjoy about Chinook Winds, as well. 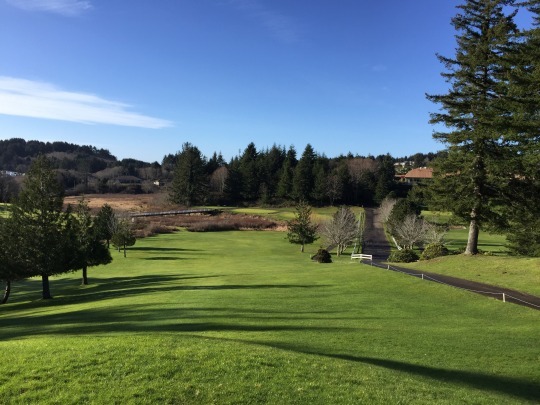 At times, it feels like a smaller version of nearby Salishan, which is a course I really loved. 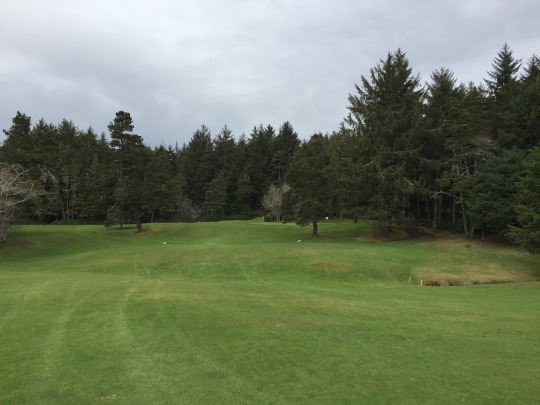 So, when it comes to ranking what I consider “short courses” on the Oregon coast, this one will probably end up above any of the 9-holers. 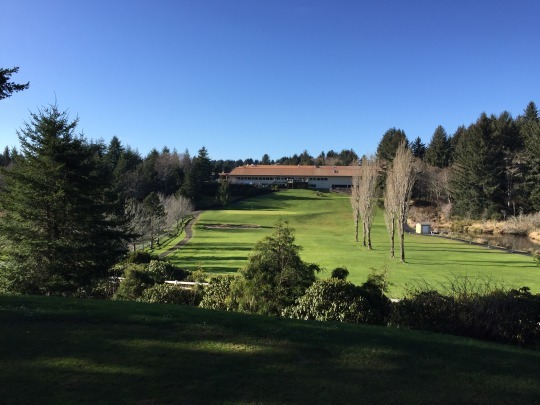 It is easily one of the better executive courses I’ve played in recent years. 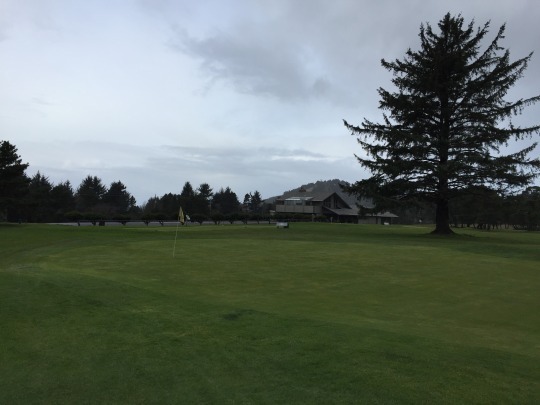 Originally, my plan was to go a little further up the coast to play Neskowin Beach after Chinook Winds. 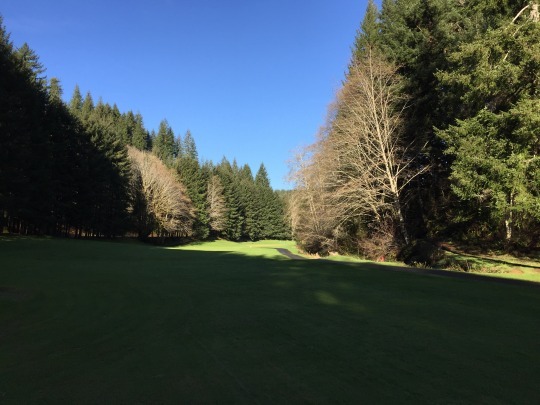 However, I called up there during the frost delay and their machine said the course is shut down for the entire winter, likely opening up sometime in May next year. I’m told this place really gets water-logged in the winter, so they don’t bother to keep it open. Based on what I’ve experienced this week, I’m actually surprised more courses up here don’t do that. 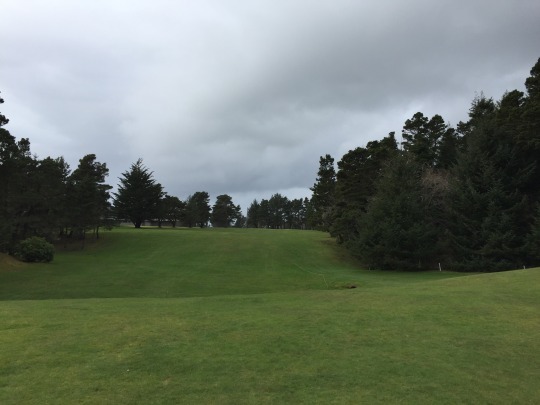 I called the course as I was leaving Lincoln City and a very nice lady answered. I’m glad I called because she probably would have closed up shop early if she didn’t know I was coming. Other players were finishing when I arrived—some of only a few who played here all day it turns out. The lady was waiting for me and had a cart all lined up just for me. 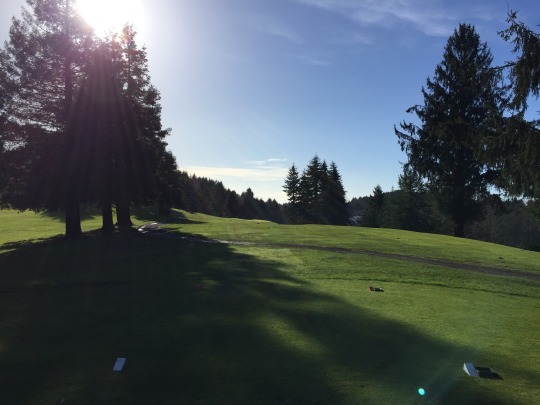 I paid my $32 for nine holes with a cart and was on my way for another quick round as the only player on the course. And, what do you know? It was quite wet and muddy out there! Shocking, I know, but I slogged through the muck like I’ve been doing throughout this trip. 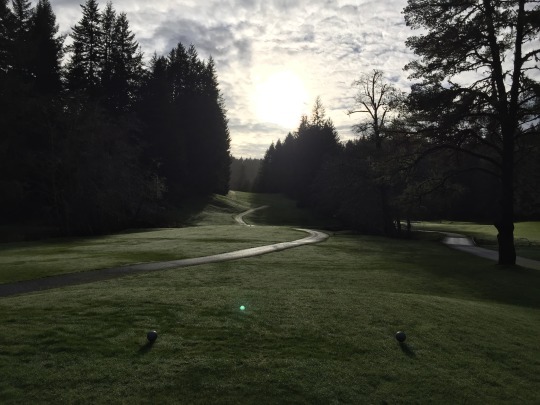 Naturally, it was cart path only. 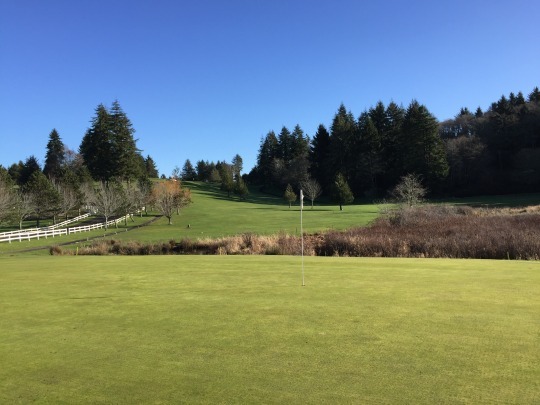 Olalla Valley may have offered the prettiest setting of all the courses I’ve played on this trip. It is set in a beautiful and very secluded little valley. It offers hilly terrain and plenty of big trees, enhancing that feeling of pure seclusion. There are some houses along the 9th hole, but otherwise you feel pretty isolated out here. I guess there is an elk herd that is frequently seen on the course, but sadly they weren’t out there yesterday. 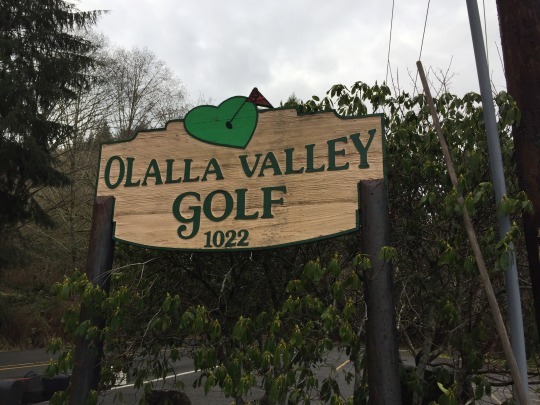 Olalla Valley is also a 9-hole regulation layout. 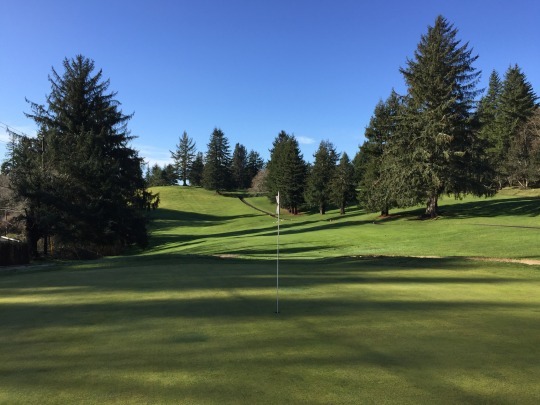 It actually plays to a par of 37 because it has three par-5s in the mix with the standard two par-3s. It’s a pretty tough layout because there are many blind shots, including the par-3 8th. 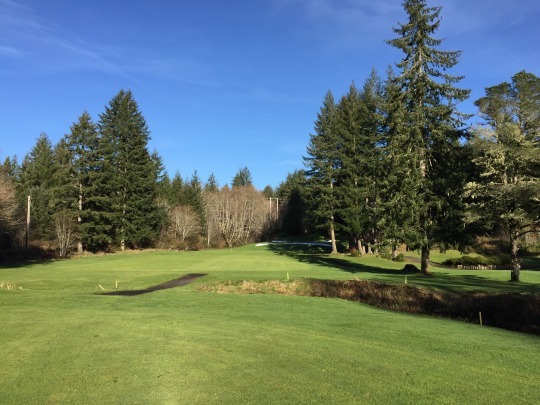 It has elevated tees and you can’t see the green at all from the back or middle tee boxes. 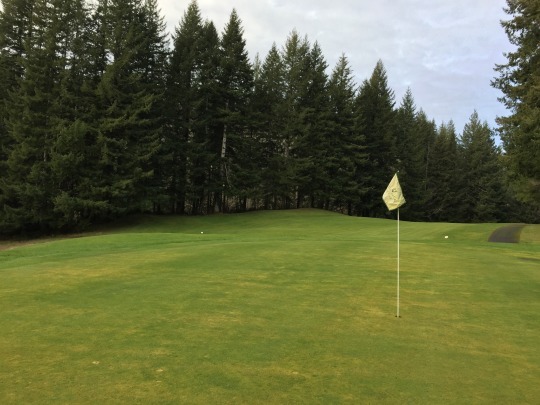 In fact, it is one of three holes in a row where they have a bell to ring up by the green in order to let players behind know the hole is clear. The lady in the pro shop warned me that a couple of the greens were closed because they were being worked on. The greens here were pretty beat up and easily the weakest of any I’ve played so far. 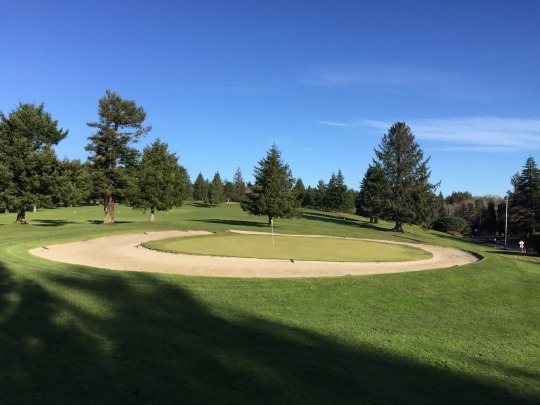 There ended up being two temp greens (really just holes cut in the middle of shaggy fairway sections in front of the normal greens). All the flags had also been pulled. The turf is so wet that any wind will cause the flags to sway and tear up the ground where the holes are cut. For the sake of my photographs, I put flags in place when I could and then took them back out when I was finished with each hole. 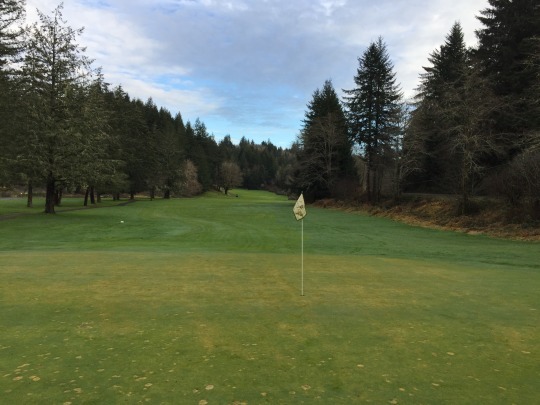 Olalla Valley clearly doesn’t get a ton of play in the winter and heavy rains do present a significant problem here, probably more so than on any course I’ve played thus far except for maybe Eureka GC. It’s definitely one better saved for a summer round. 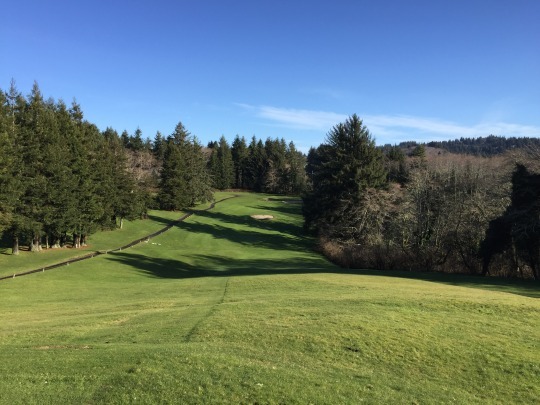 Better playing conditions and warmer weather will certainly enable you to enjoy what is actually a pretty cool little course.